Churches across the UK are being urged to buy and give away a just-published short introduction to the Reformation. It is hoped that the new book – Freedom Movement – 500 Years of Reformation – will have the same success and impact The Servant Queen and The King She Serves did. Published in 2016 to mark Queen Elizabeth II’s 90th birthday, well over one million copies were distributed. 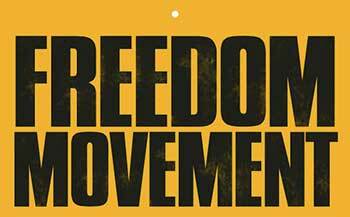 Freedom Movement has been written by leading Oxford historian and theologian Michael Reeves, who is well known for his lively, accessible and brief works. The short, 40-page book is lavishly illustrated, easy to understand and small enough to be read on the move. By telling the story of Martin Luther’s life, it introduces readers to his re-discovery of the core gospel doctrine of justification by faith alone. One of Luther’s own illustrations, the story of a prostitute whom a king loves and marries, and on whom the status of royalty is thus freely given, draws out the great story of grace. The exchange at the heart of the book is the section on the cross of Jesus. It then examines the impact and consequences the rediscovery had, across the world, in areas as diverse as Christian mission, church revival, the abolition of slavery, art and music, and social improvements such as in education and health. Freedom Movement is the brainchild of Christian Heritage London, which is based in the City and puts on a variety of walking tours, talks and mission and apologetics events for churches to explain the profound influence Christianity had on London’s history. Ben Virgo of Christian Heritage said “We believe it would be remiss of Christians not to use the 500th anniversary of the publication Luther’s 95 Theses in 1517 as the excellent evangelistic opening it undoubtedly is. "We hope Christians will get behind it, as they did The Servant Queen, and replicate its success as churches across the UK buy copies in bulk and distribute them to family, friends and neighbours.